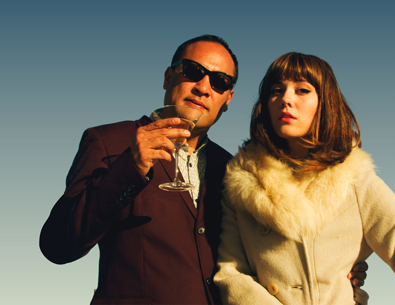 Got a Girl is a new project with Dan the Automator and Mary Elizabeth Winstead. Dan the Automator, is an American hip hop producer. He founded the record label 75 Ark, which was distributed by Tommy Boy Records during its short existence (1996-2001). Mary Elizabeth Winstead is an American actress and recording artist, known for her scream queen roles in the horror films: Final Destination 3, Black Christmas, Death Proof, The Thing, and Abraham Lincoln: Vampire Hunter, but also including Live Free or Die Hard and A Good Day to Die Hard, the comic-to-film adaptation of Scott Pilgrim vs. the World and the Sundance-selected drama Smashed.